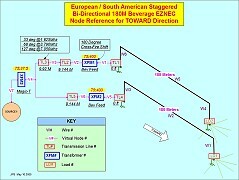 The European/ South American Bi-Directional phased beverages are 180M long. 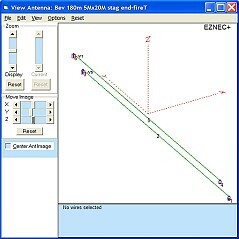 The beverages are spaced at 5 meters with a 20 meter stagger. 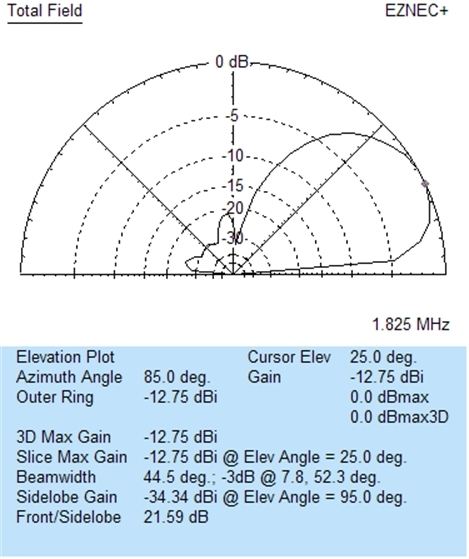 The EU / SA phased beverage antenna for the TOWARD Direction. The beverage stagger was chosen to allow operation on the 40 meter band. 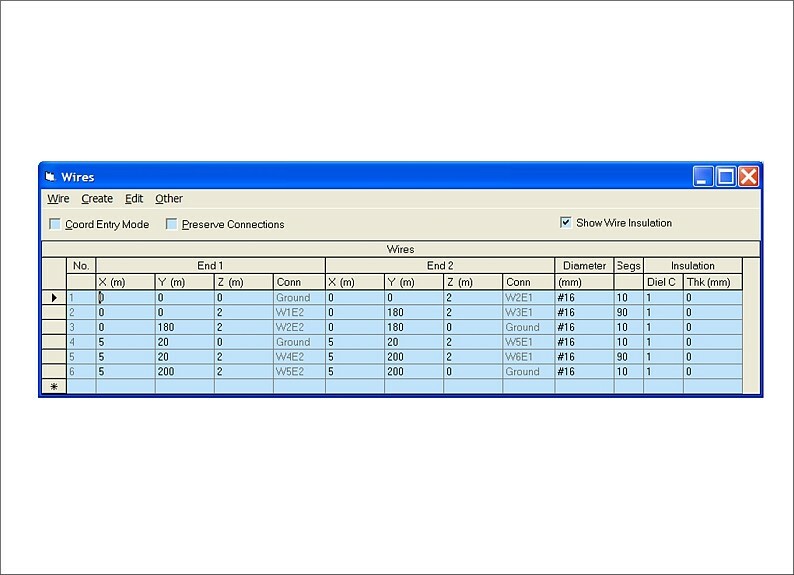 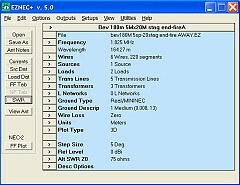 This is the EU / SA wire model for EZNEC TOWARD . 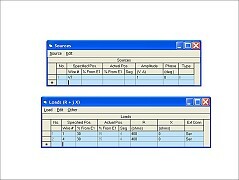 The beverages are Bi Directional which complicates the feed system. 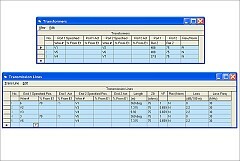 The EU / SA phased beverages TOWARD Sources and Loads screens. 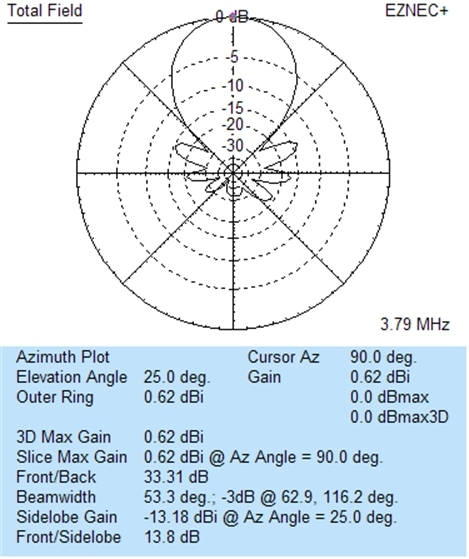 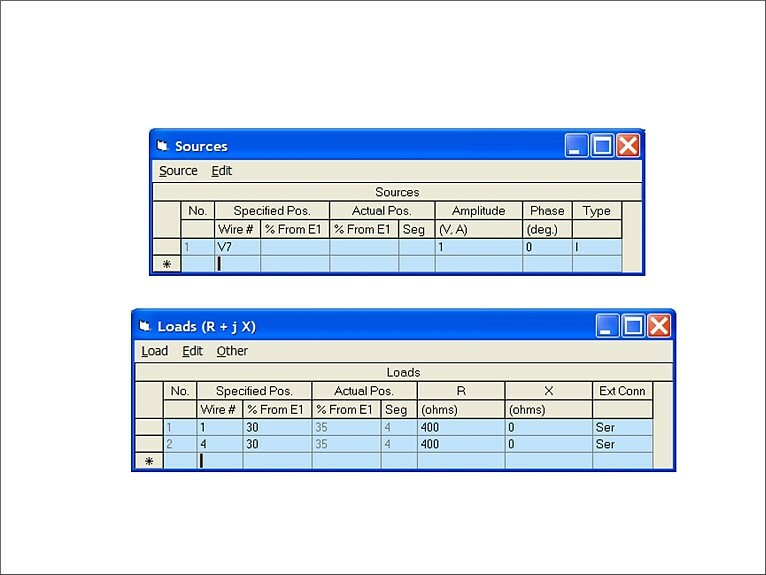 The 400 ohm Load consist of 100 ohms ground R and 300 Ohms fpr the Antenna Z. 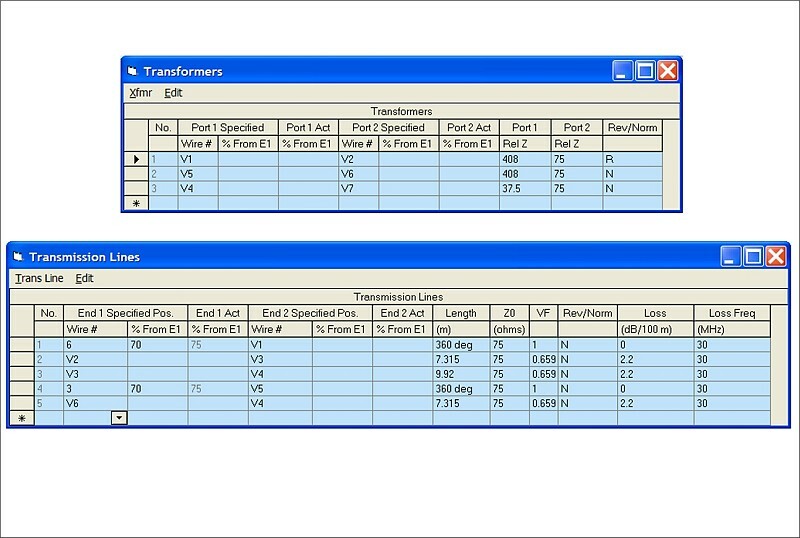 The EU / SA phased beverages TOWARD Transmission lines and Transformers. 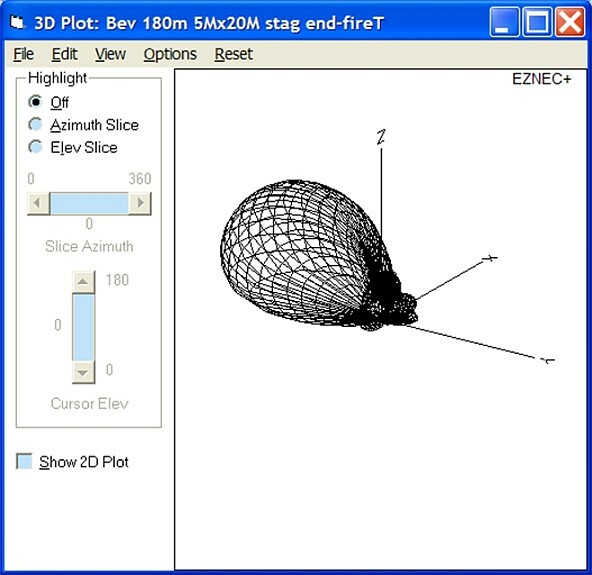 The 180 degree cross-fire delay is shown on trabsformer 1. 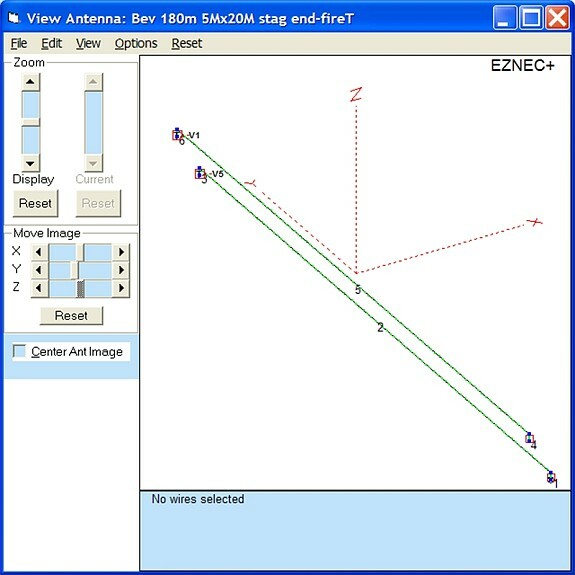 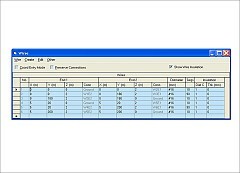 See the EZNEC node mappings drawing in the row above. 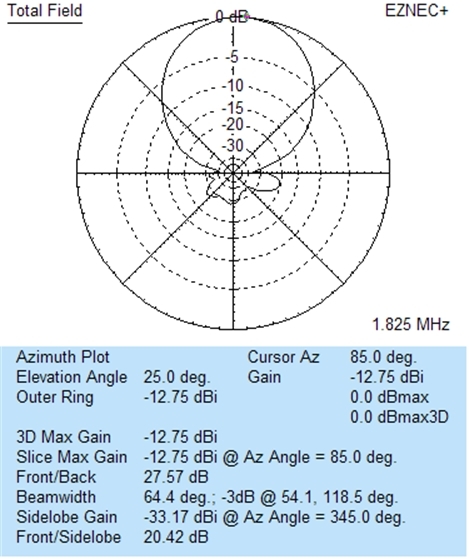 The EU / SA 180M phased beverage 1.825 Mhz 2D TOWARD Azinuth plot. 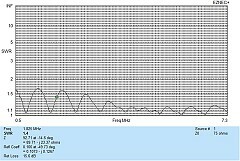 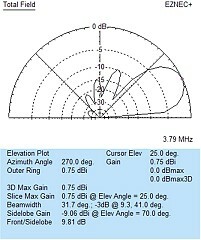 The EU / SA 180M phased beverage 2D TOWARD Elevation plot for 3.790 Mhz. 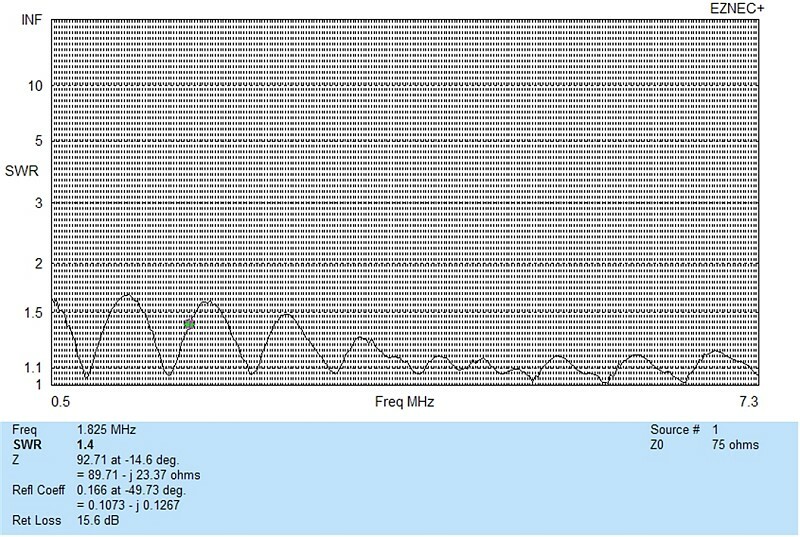 The EU / SA 180M phased beverage 2D TOWARD Azinuth plot for 3.790 Mhz. 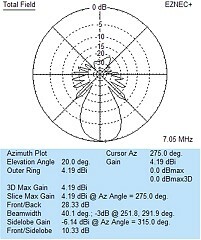 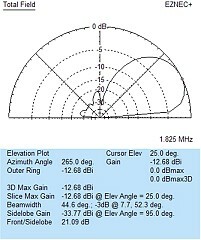 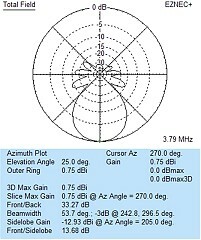 This antenna has 14.4 RDF. 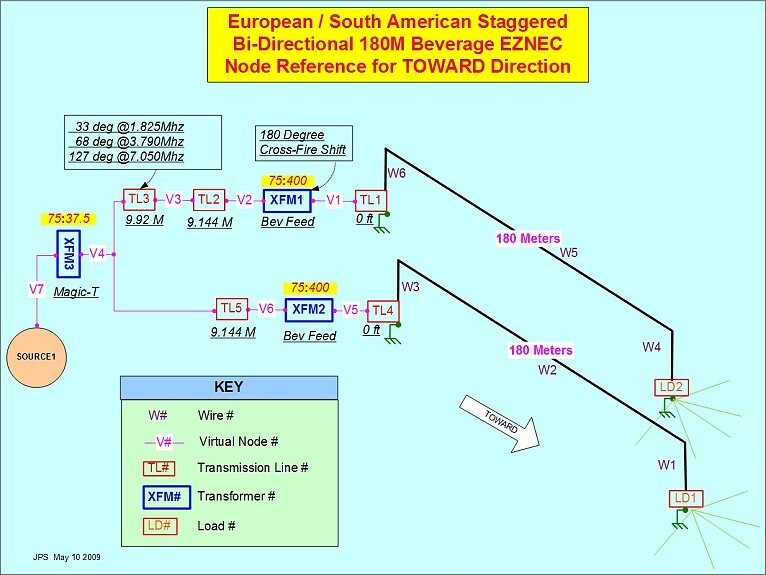 The EU / SA 180M phased beverage 2D TOWARD Azinuth plot for 7.050 Mhz. 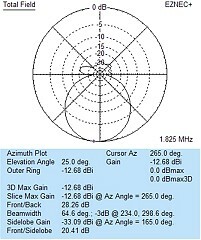 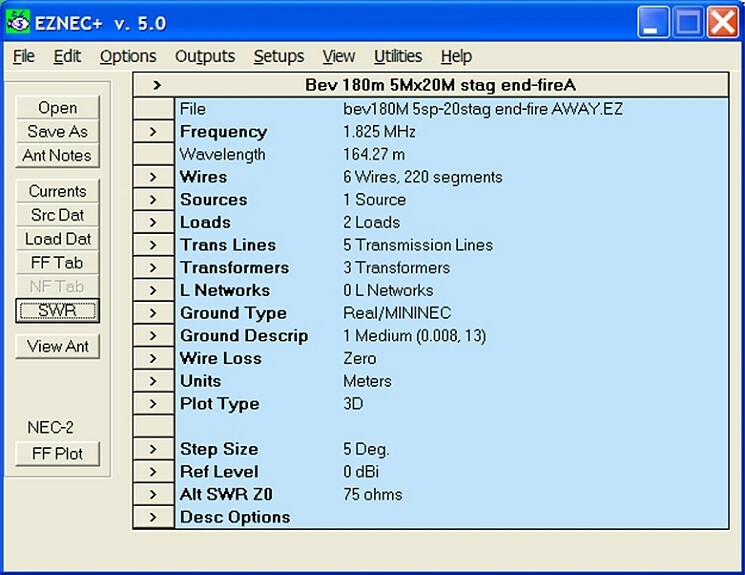 The EU / SA 180M phased beverage 1.825 Mhz 3D TOWARD plot.